On the third Sunday of May, in the vineyards of Maury, winemakers and chefs reveal their best combinations of wine and fine foods during a six-stage gourmet walk culminating in tastings of Roussillon wines and a picnic of local produce. 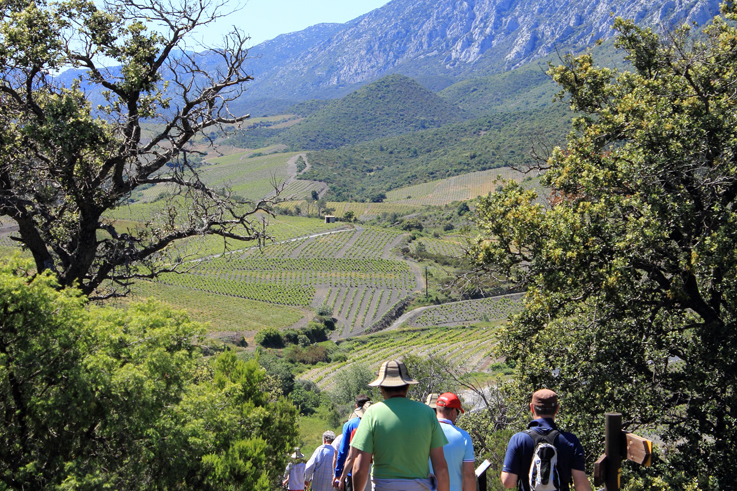 Each year six hundred gourmets, in groups of 40, walk along the paths through the Roussillon vineyards. Enjoy discoveries of historic sites, tastings of Maury wines, and a picnic at the foot of Chateau de Quéribus ... 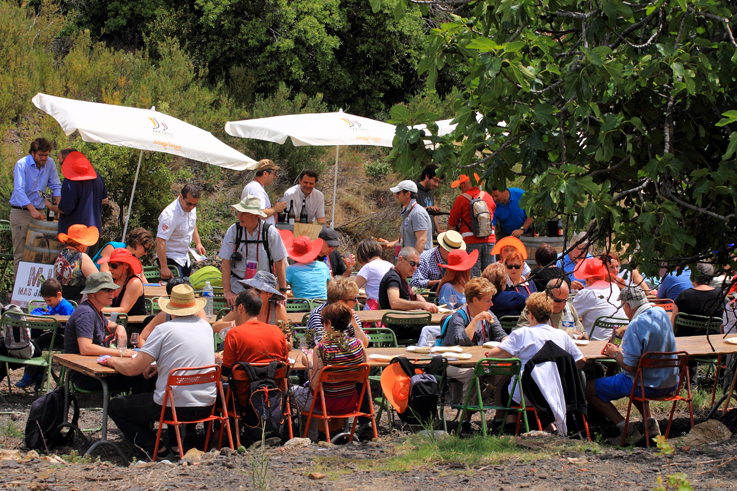 The walk is divided into six gourmet stages, where 20 winemakers will be there waiting for you, ready to give you a taste of delicacies prepared by a renowned chef and a pastry chef from the Roussillon district. The Amorioles: an open-air dining table!